Traveling with kids can be a constant exercise in patience and creativity. As a parent, you’re tasked with finding ways to entertain and educate and sometimes even just distract your children. 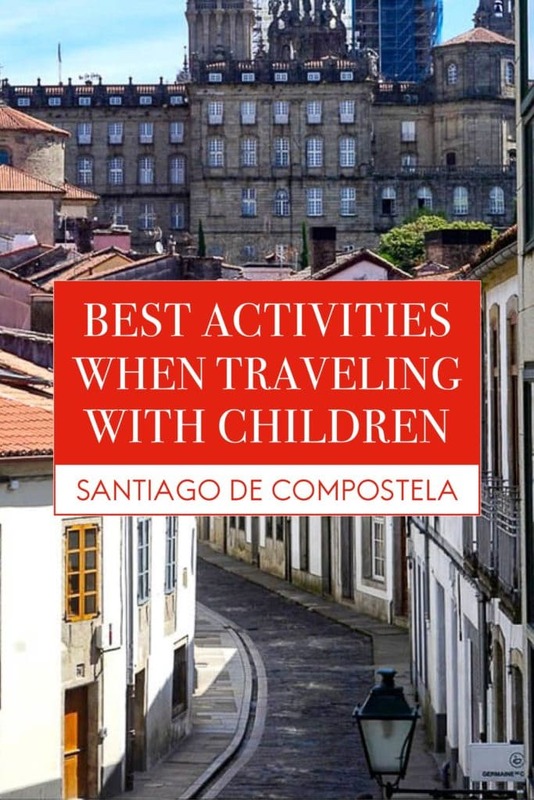 This guide to the top things to do in Santiago de Compostela with kids will help keep everyone happy! 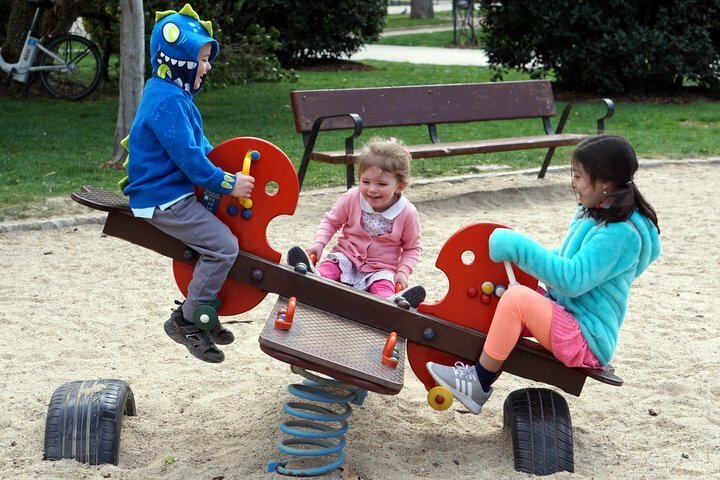 There’s plenty of fun for the whole family to be had in Santiago de Compostela! What better way to get your kids pumped up for a day of sightseeing than by giving them chocolate for breakfast? The best part: there’s no need to feel even a little guilty about it! 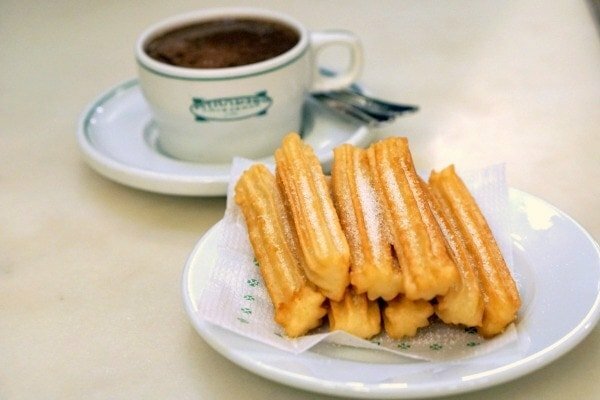 A cup of rich hot chocolate with a few churros is a typical Spanish breakfast. 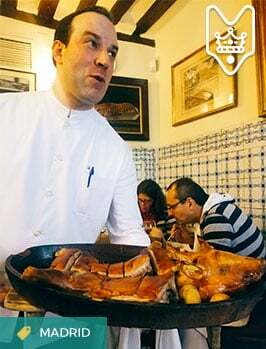 This delicious cultural activity is definitely among the best things to do in Santiago de Compostela with kids. 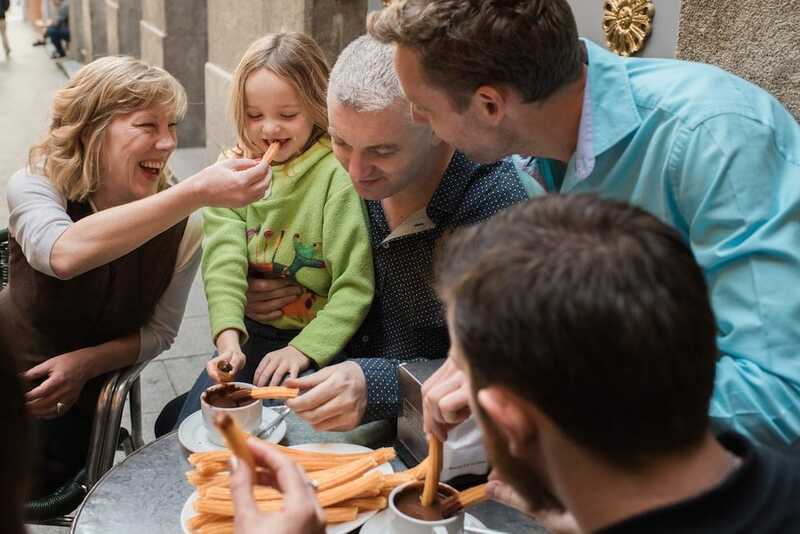 Churros con chocolate is the perfect breakfast to have in Santiago with kids! 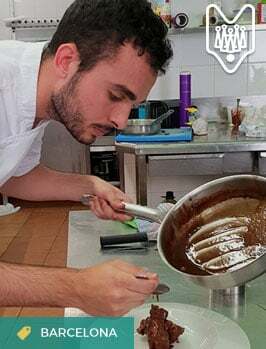 See Also: Find out where to get the best churros in Santiago de Compostela! 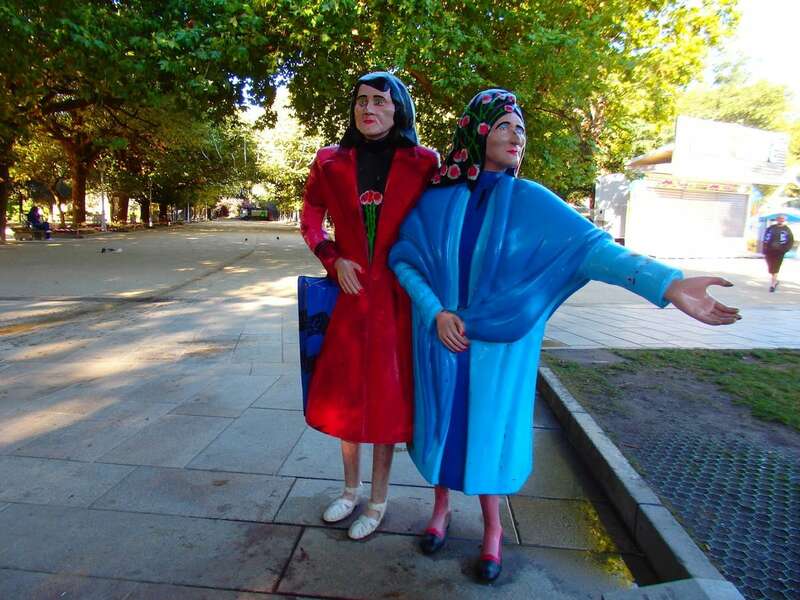 At the entrance to the Alameda Park stands a colorful statue of two sisters, known as Las Marías. They became known in Santiago de Compostela simply by taking a walk through town at the same exact time each day wearing extravagant makeup and clothing. Snap a few photos with these lovely ladies and continue through the park for the best views overlooking the city! Nothing compares to exploring the winding narrow streets of Santiago de Compostela’s Old Town on foot. But walking all day can get exhausting for children (and, let’s be real, for parents too!). 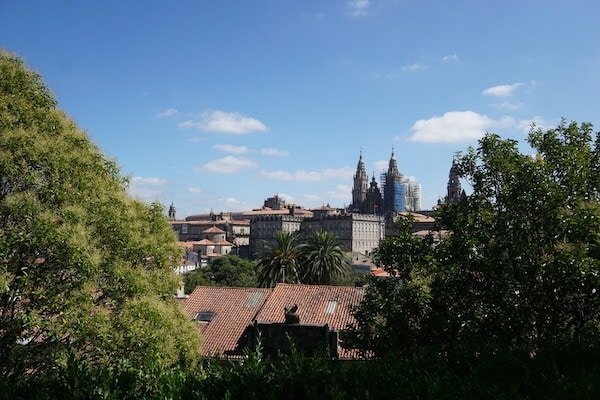 The Santiago de Compostela tourist train is a great way to see the main sights in a short period of time, or to simply take a break and enjoy the views while you get off your feet. The Museum of the Galician People is an interesting and fun way to learn about the history of the local people and their culture. Kids love interactive and visual learning, and this museum is a perfect activity for the whole family. Adults can stimulate their minds while the kids have fun interacting with the various hands-on exhibits. I’ll let you in on a little secret: When a Galician person tells you to check out the feet of the Cervantes statue in the fountain of Plaza de Cervantes, they’re really just trying to get you close enough to the fountain to splash water on your searching face! Now that you know, why not play this trick on your kids? The Cathedral of Santiago de Compostela is the central attraction for many visitors and pilgrims, but for most children, it’s just another cathedral. That is, until you take them to the roof! Up in the rooftop cloisters, the cathedral turns into an enchanted castle overlooking the city, complete with secret passageways that’ll get your kids’ imaginations going. 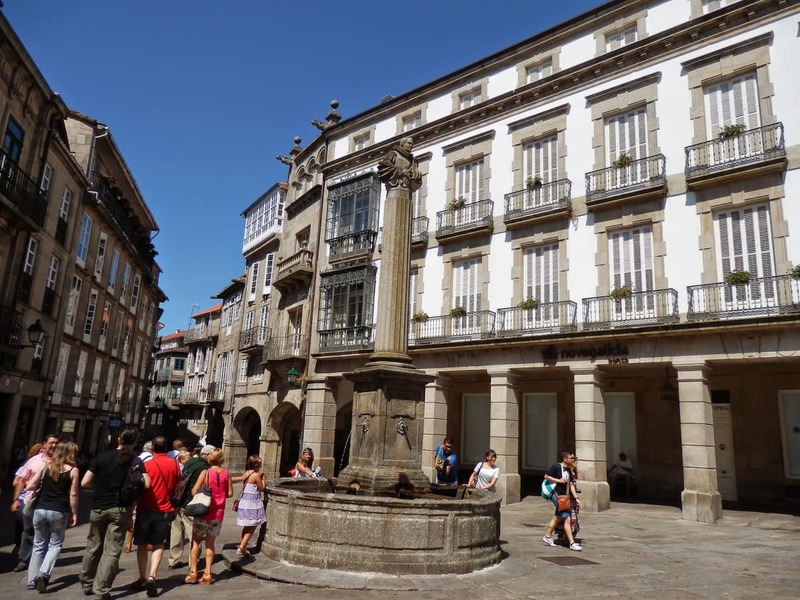 Great views and history for you, great fun for them, and one of best things to do in Santiago de Compostela with kids. 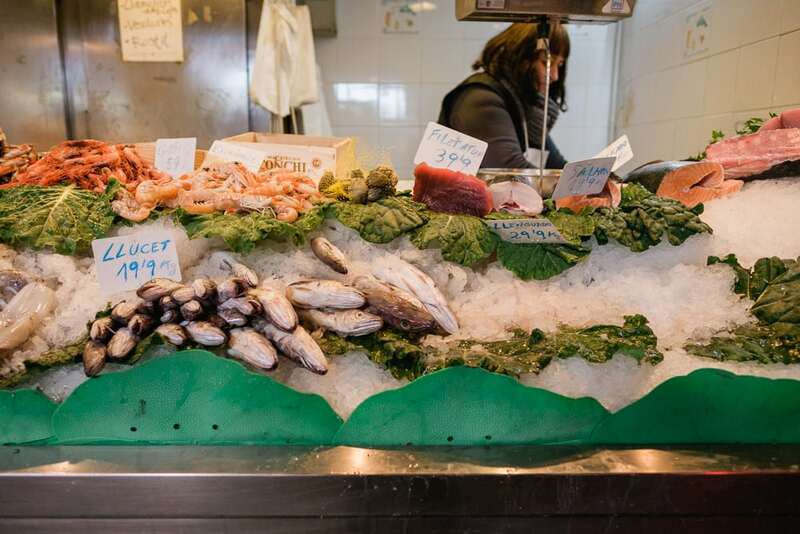 The Mercado de Abastos is an essential stop on your trip to Santiago. Walk through the different market halls and let your kids pick out whatever they find interesting or something they’d like to have for lunch. 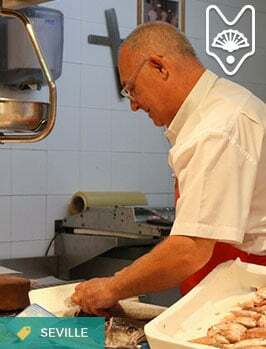 When you’re done shopping, bring your purchases to Mariscomanía, where they’ll cook up any meat, fish or veggies you’ve purchased at the market for a small fee per person. 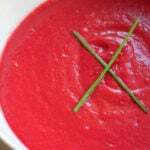 It’s a meal and a family activity all in one! Adults and kids alike will enjoy seeing their fresh purchases turn into a delicious meal at a local market! 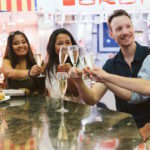 See Also: Read the complete guide to the Mercado de Abastos and how to experience it like a local!